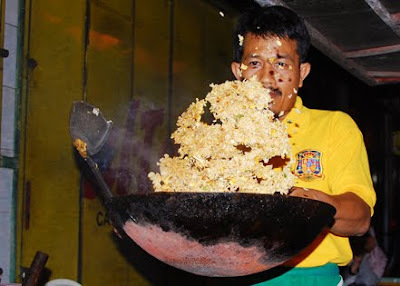 "I just watched Ninja Assassin so now I am practising ninja moves while frying street rice," said Rumianto, chef at the Jamrud warung in Cilacap, central Java. He lunges unexpectedly right, driving his black plastic spatula hard into the night, then tosses a whole wok of sizzling rice into the air. "Sadly, customers are a little thin at the moment due to the World Cup. Many people are choosing to stay in and not eat out." Rumianto has seen a drop from seventy to fifty customers a night since the championship matches began. "I do love football though," he added. "And Jackie Chan and Honda motorbikes. I like Honda bikes because the hotter the engine gets, the faster the bike goes. Just like cooking: the hotter the wok, the faster the cooking." 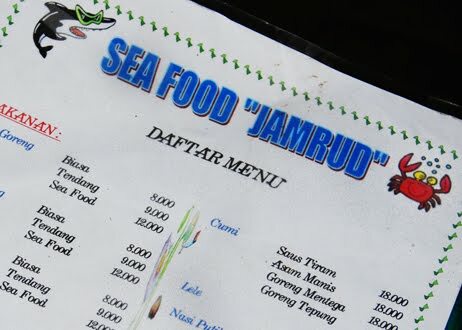 The Jamrud warung is an informal tent erected at nightfall on the pavement outside a timber and nail shop. 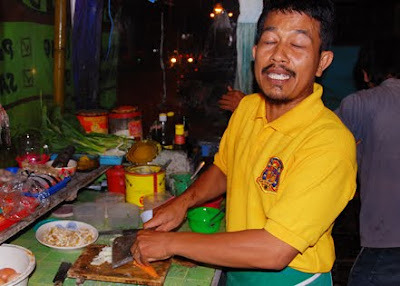 A customer orders mie goreng (fried noodles) and Rumianto picks up a heavy knife and starts chopping onions at speed. He sees I am impressed. "Oh, I can do this with my eyes closed," he brags, taking a carrot and slicing it into a thousand slivers a second. "My dream is to get 1,000 street vendors together to cook 1,000 portions of mie. We can have a competition. Though my ambition is not to win, but to promote fried noodle vendors and street food. 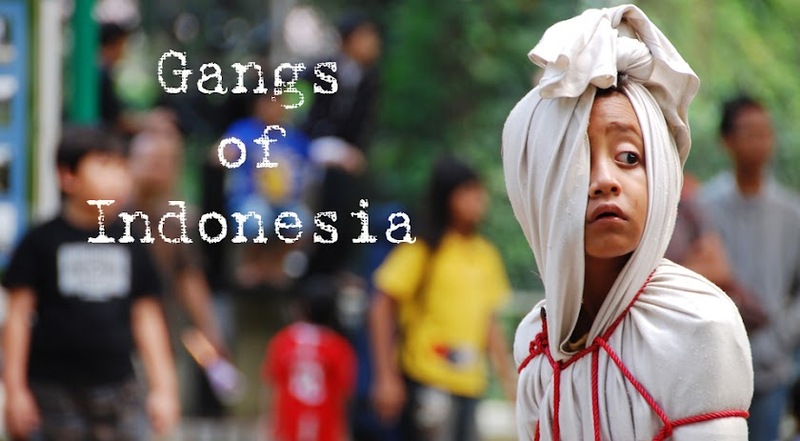 We could get into Muri: the Indonesian Museum of the Biggest Records! I just need a sponsor...".